Courtesy of Grand Valley State University’s newly formed drag club, not all Mondays are dull. On a weekly basis, students can gather in the Milton E. Ford LGBT Resource Center for a night filled with colorful outfits, diverse company and topics in drag. 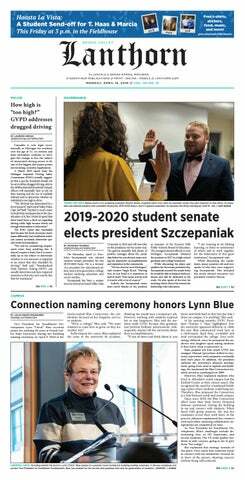 “We want to establish a space on campus where people can be gender fluid, or do drag, or even just be interested in the community, who can come together and be friends that way,” said Chris Royer, president of the GVSU Drag club. In recent media, shows like “RuPaul’s Drag Race” depict drag culture in a more competitive light, which might give some people the wrong idea of what drag means. For Royer, drag is more than competition and can be a casual exhibition of someone’s identity in front of others who feel similarly. The club started as an informal agreement among students who happened to be in the LGBT Resource Center at the same time. As a result, the club officially registered with the university in the fall semester of 2016. Currently, around 10 students attend meetings regularly, and Royer hopes this number will continue to grow once other students on campus gather interest. “We wanted to create a place for anyone interested in drag — doesn’t matter if you’ve done drag, or just enjoy watching it. We can come together and create a community for people to have a creative outlet or practice drag,” said Eric Lacerna, vice president of the GVSU Drag Club. Soon, the club plans to host an annual drag show, but the date is yet to be determined. Events like these allow performers to experiment and practice in a more casual setting, while also bringing drag talent right to campus. While most club members have not performed at clubs within the greater Grand Rapids area, Lacerna and Royer hope one day they can break into a bigger scene. In the meantime, the meetings feature question and answer sessions on drag related topics. "Drag and this club mean a lot to me," Lacerna said. "Through drag, I have a creative outlet and this club lets me share this experience with other amazing people." Whatever the case, Lacerna stresses the focus of the club and its meetings are not based on sexual orientation or the acceptance of only certain types of people. “We welcome anyone. Anyone who’s interested in drag, it doesn’t matter if you’re straight or how you identify on the sexual orientation spectrum,"Lacerna said. "That doesn’t determine whether you’re allowed in the club." In fact, anyone interested in drag can be a part of the club, whether they like watching drag, practicing it, performing or are just curious. “All that matters is that you enjoy drag or want to get introduced to it, if you have that, anyone’s welcome to join,” he said. The GVSU Drag Club hosts meetings Mondays at 6:30 p.m. located in the LGBT Resource Center.